The Widmer 630 KR Weatherproof Payroll System / Works with Key Fobs and Portable Weatherproof Reader saves time and money. 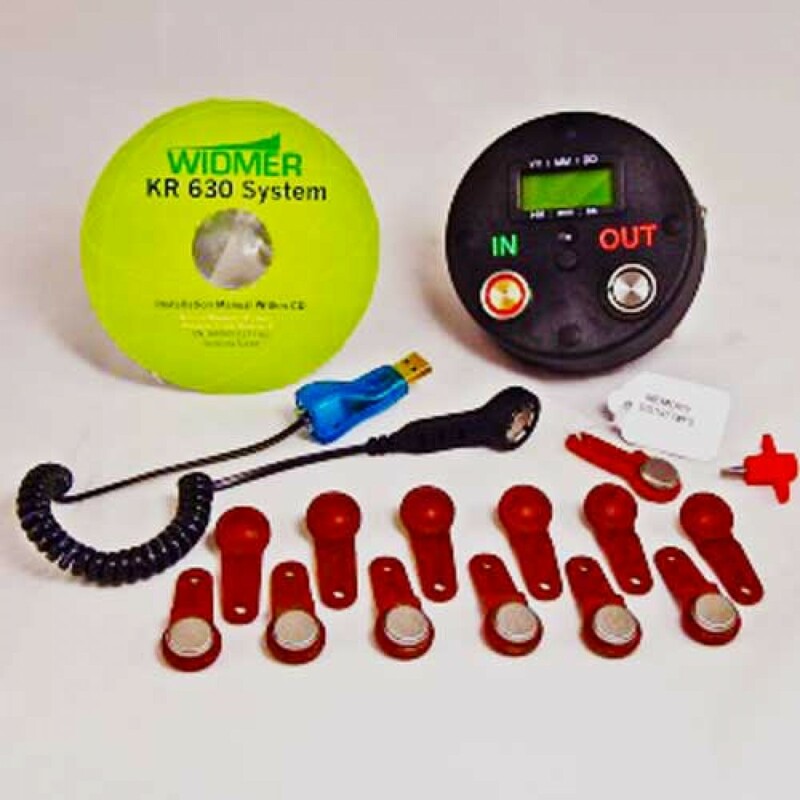 One of the newest additions to our product list is the Widmer Model 630 KR, a portable or wall mount-able payroll system.Works without an electrical source, does not need to be plugged in.Perfect for jobs where your employees are moving from job site to job site.Works even in inclement weather Heavy Duty simple computer based employee time clock where no time cards are needed. Extra heavy duty operation, special for environments such as construction sites, outdoor jobs, etc. Works impeccably where fingerprint terminals fail to operate due to harsh conditions, where grease, dust, grime, extreme temperature changes, humidity, corrosive vapors and power failures are present. Easy installation with only 4 screws. Casing is closed- sealed with 4 Torx(R) Security Screws. 20% Glass Reinforced Poly-carbonate Casing. Operates with 4 AAA batteries. Battery life, 160,000 Recordings or 1 year. Keeps the correct time and date for 10 years (even in the absence of power!) due to its self powered iButton(R) Real Time Clock. Non volatile memory (NVO RAM) safeguards employee punches in the absence of power. Memory capacity 4080 punches. Downloads employee punches to PC via a portable DS1977 iButton(R) memory. Employs a DS 9490R high speed USB bridge and a DS1402-RP3+ easy to use cable for downloading to the PC. 10 function easy to use one touch menu, via the IN/ OUT head probes. Easy Date & time setup, plus Daylight Savings programming. Signaling Buzzer and Dual Color LED. Includes : KR Style recorder with casing security key, Transfer/ Download cradle combo, 630 Software CD & (10) iButton Key Fobs.